What does RV Repair and Auto Body Repair Entail? Auto Body Repair is a technique that restores a damaged vehicle to its original condition. The Auto Body Repair entails repairing and properly matching the paint on vehicle bodies, repairing vehicle frames, and understanding mechanical, electrical and electronic systems. Some of the processes used in Auto Body Repair are shop safety, automotive body construction, tools, welding, sheet metal repair, frame straightening, repair materials, adjusting body panels, painting and refinishing, and estimating the cost. Auto body repair also deals in welding light-gauge motor vehicle body panels and under-frame structures. The repair shop will have to have quality craftsman to repair minor and major accidents and corrosion damage, and measure, realign and repair upper body and under-frame structures. The variety and type of auto body repair materials and tools varies with the type and size of the damage. Bondo creams and hardeners might necessitate reinforcement with fiberglass for larger holes and dents in the body. Qualified specialist in the auto body repair shops should have received classroom and on the job training before actually working in a repair shop. In most cases they are still receiving ongoing training from there company and/or an outside source. They are professionals in their field. They are continually improving upon their skills and technique. Also it is their job to repair vehicles auto body, so they have had plenty of opportunities to perform the repairs and become masters of the trade. They also know and use the latest technology and skills of the trade when completing the auto body repairs. They know what will work best for each auto body repair and can fully complete the job. When looking for a trusted RV or Auto body repair shop look no further than Sutton’s Auto Body Yuma. What auto body repair shop do I choose? When you have had the unfortunate event of being in a automotive collision, the last thing you need is to have a bad experience with an auto body shop not doing their job. A good auto body shop will fix your car back to pre-loss condition, both in appearance and in structural and mechanical integrity. 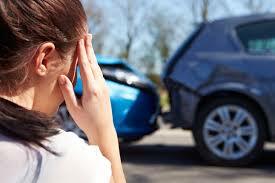 A great auto body shop will almost make you feel like the accident never happened. They should start with customer service better then you get at a good restaurant. They should ask if everyone was OK after the accident, generally, they should be more interested in your needs and concerns then their own profit margins. The sad thing is there are many body shops that are just in it for a quick buck and do not have the customer skills or even the repair skills to do the job you, or your insurance company, is paying for. So how do you weed those shops out? I am going to give you some information about the industry that will hopefully help to make that informed decision a little easier. First, do not let your insurance company tell you where to have your vehicle repaired, in most cases they have contracts with the shop to save them money in exchange for sending them your vehicle. in this case the insurance company saves money, the shop gets the work but has to cut corners to keep the cost down for the insurance company. And you, the one that pays the insurance company all those inflated premiums, and pays the body shop your deductible gets a substandard repair. The insurance company may say "if you don't take the job to our repair shop we can't guaranty the work", the fact is any and all good auto body shops guaranty their work for as long as you own your car, if they don't, go somewhere else. Next thing to do is be sure to question the person who is estimating your damage, smaller auto body repair shop owners will usually take care of you personally, and in most cases, actually be involved in the repair process. In most of the larger or chain shops the person writing the estimate on how to fix your vehicle is a salesperson, usually having absolutely no experience repairing cars, not to say that the techs working at that shop wont fix your car correctly, but they may just not feel like rewriting the estimate the way it should of been written to begin with. Just be aware and ask the questions. Also small shops may not have all the fancy lasers and computer operated equipment of a large shop, Then again lasers and computers don't fix cars in most cases they are sales tools and rarely used. Even a frame rack although necessary is nothing more then a few well placed trees, they don't fix cars, the tech is the most important part of the repair. Ask if the body shop is on any insurance programs or DRP,(direct repair programs) if they are ask why? the only reason I know why a auto body shop would agree to be on a DRP would be to get work that they couldn't get on their own. Again this does not mean just because they have a DRP they are not a great shop, but if they have 20 DRP's then I would be a little concerned? Ask them to explain. And by far the best resource for finding a good Auto body repair shop in Yuma, AZ is word of mouth, a friend that's had work done and is happy to let you know about the auto body shop he had good luck with is a good sign they were treated well. If you have no friends or coworkers that have had resent repairs, you can try the local automotive paint supply stores in the area, they visit shops large and small every day and may be able to help you out.